Although not officially posted on its website (yet), Realtek has reportedly been sending out an OS X driver for its RTL8187SE wireless card found in MSI's U100 Wind. Various posters at the MSI Wind forums say they were sent the driver from Realtek employees after contacting the company, which invariably led to the drivers being uploaded to RapidShare for everyone to grab. Apparently the card isn't recognized as an Airport device, and forum users are suggesting to instead get the Real WLAN Client Utility. Supposedly, Realtek employees stated (via email) that the driver would be released before December 15, though according to some posters, the company has already missed a November date -- so if you want the driver now, your best bet is to start scavenging the forums. 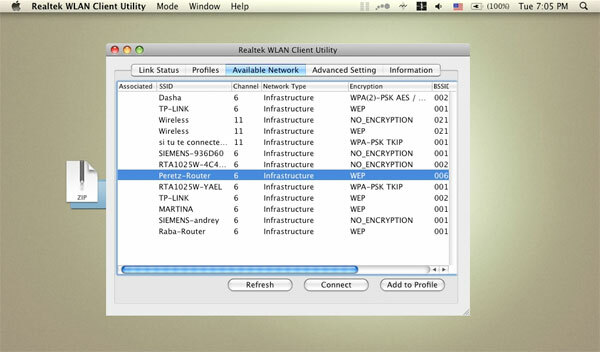 Realtek employees leak OS X WiFi drivers for the MSI U100 Wind originally appeared on Engadget on Mon, 15 Dec 2008 10:48:00 EST. Please see our terms for use of feeds. December 15, 2008 by Ben Pike.